The venerable Jaku Theme will officially be heading to the iPad. While a release date is yet to be determined, development of the project has been going swimmingly. You can follow my twitter feed or Dribbble section for progress reports and teasers. The biggest challenge in porting the theme from the iPhone was having to redraw every single icon by hand. While the general framework (concept and metaphor) was already laid out, putting in the Photoshop time was still quite exhaustive. And there was the dilemma of what exactly to do: Simply upscale the icons, as is, or revise them for an overall better experience? I chose the latter, mostly because I felt simply redrawing the current icons at a higher scale wouldn’t bring enough value for people’s hard-earned cash. 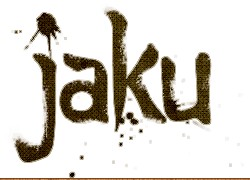 So while Jaku for the iPad will still carry with it the same fundamental design principles that drove Jaku for the iPhone, it will also expand and refine on what’s currently there. In short, it will be an entirely new experience rather than a mere extension of the current theme. Will the changes found in the version for the iPad trickle back into the version for the iPhone? Yes and no. Some will, but some simply cannot be done due to the incredibly dense pixel ratio of the smaller device. The iPad’s larger icon canvass and tamed pixel density (PPI) allows for greater detail and more complex designs. But changes to Jaku for the iPhone will be coming, and in time, both themes will tangle together, but of course, will always remain distinct products. How much will it cost? It will be priced the same as Jaku for the iPhone: $2.99 USD and will, of course, include free updates for life.